Click on a topic to jump to it. * Who can call themselves a "Laird", "Lord" or "Lady" (about souvenir plots of land schemes)? * Can I fly the Royal Arms of Scotland (the “Lion Rampant”)? * Who wears what feathers? * What are the jurisdictions of the heraldic authorities? Each year the Scottish Australian Heritage Council invites emminent guests from around the world who have a connection with Scottish heritage and culture to participate in Scottish Week. Designer: John Reid, Tartan date: 01/01/1984, Category: District. Registration notes: The Australia tartan (also known as the Australian tartan) was designed by John Reid, a Melbourne architect, as the result of a national competition held by the Scottish Australian Heritage Council to celebrate Australia’s Bicentenary in 1988. He based his design on the warm colours of the 'outback' and the pattern of the tartan of Lachlan Macquarie, who became the second Scottish born Governor of the Australian Colony of New South Wales in 1809. 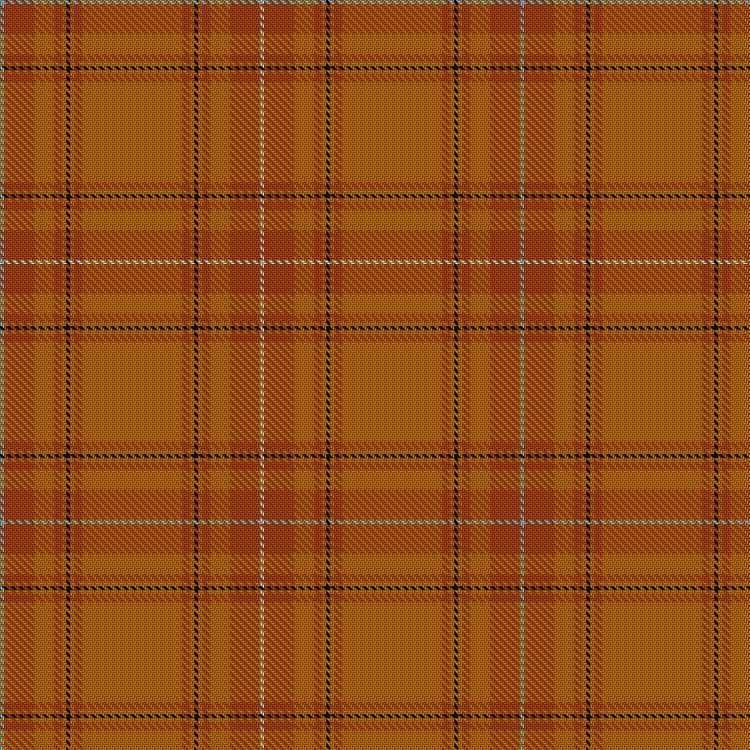 The tartan is design registered in Australia (No. 97439). (Source: District Tartans, P. Smith and G Teall, 1992). It was proclaimed as Australia’s National Tartan when launched in Sydney at the 1988 Scottish Week by Guest of Honour the Rt Hon. The Countess of Sutherland. The Scottish Australian flag was raised for the first time on 21 July 1988 at the Duesburys Building, Sydney, overlooking the site of the first Government House. The distinctive red, gold and blue flag was broken out by the Chairman of the Scottish Australian Heritage Council, William MacLennan, Chieftain in Clan MacLennan. 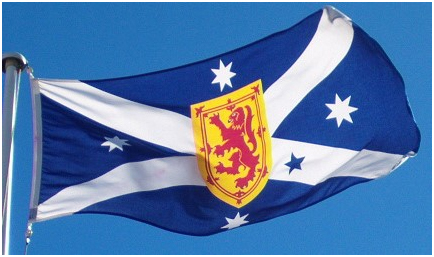 Featuring the Cross of St Andrew on a blue field, the red lion rampant of Scotland on a golden shield and the stars of the Southern Cross, the flag links the traditional symbols of Scotland with Australia. "Almighty God, Creator and Father of all people, Leader and guide of all nations, who created all mankind of one blood to live together, we give praise and thanks as we break out this flag, realising our separate histories, our common traditions, and the close bonds that unite us. For the cross of St Andrew and the Church, for the Lion Rampant and the Crown and Commonwealth, for the Southern Cross, the symbol of this land, our land, Australia. Grant that you will bless the people of Scotland, the people of Australia and especially Scottish Australians working and living within its states. As this flag flies above the people, may they look up to see a symbol of loyalty to this country, a symbol of unity between two great nations and a bond between them and between Church and State. Through Christ the King and Head of the Church we pray this prayer. The designer of the Scottish-Australian flag is John Vaughan, who owns Australiana Flags. John is one of Australia's premier vexillogolists and principal spokesman for the Australian National Flag Association. Who can call themselves a "Laird", "Lord" or "Lady"? Schemes that say they 'sell' a small plot of land and title of Lord, Laird or Lady are disrespectful of Scottish culture and heritage. The Scottish Australian Heritage Council does not support these schemes. This information is being offered in the spirit of consumer advice to anyone considering taking up the offer to become the "owner" of a square foot of land (especially in Scotland). The transaction is actually a private contract and ownership in terms of Scottish law is not transferred, so the 'purchaser' does not own the plot of land. Under Scots law, ownership of land passes from seller to buyer by registration in the Land Register of Scotland. No registration? Then no transfer. This is currently set out at section 50 of the Land Registration etc (Scotland) Act 2012. In Scotland the term ‘laird’ is NOT the same as a ‘lord’ or ‘lady’. 'Purchase' of a souvenir plot of land is not sufficient to bring a person otherwise ineligible within the jurisdiction of the Lord Lyon for the purpose of seeking a Grant of Arms. A title cannot come with the 'purchase' of a souvenir plot of land in Scotland. But the Land Register does not accept souvenir plots: this rule is set out at section 22 of the 2012 Act. So if a company sells a souvenir plot, the sale cannot be completed. The 'buyer' of the plot does not become owner of the plot. Ownership of such plots remains with the company. "The term ‘laird’ has generally been applied to the owner of an estate, sometimes by the owner himself or, more commonly, by those living and working on the estate. It is a description rather than a title, and is not appropriate for the owner of a normal residential property, far less the owner of a small souvenir plot of land. It goes without saying that the term ‘laird’ is not synonymous with that of ‘lord’ or ‘lady’. Ownership of a souvenir plot of land is not sufficient to bring a person otherwise ineligible within the jurisdiction of the Lord Lyon for the purpose of seeking a Grant of Arms." "Q7. 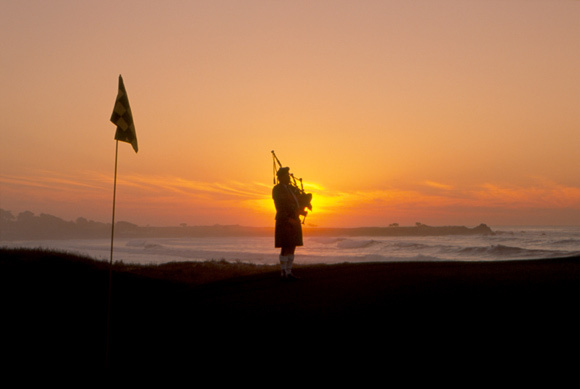 What is a 'laird'? Is it the same as a Lord? No, it is not the same at all. Most often the word 'laird' is used very broadly to indicate a landowner, who may also be (but is frequently not) a member of the peerage. As could be inferred from the fact that companies market holdings as small as a square foot of land by saying that ownership would entitle the purchaser to call themselves 'laird,' calling oneself 'laird' in no way makes one a member of the peerage or entitles one to become an armiger. Territorial designations will only be considered for holdings on which a proper house has been built. See leaflet 20 and note on lairds on Lyon Court Website. Q8. Can I become a Lord by buying a square foot of Scottish soil? No. Q9. What allows some women to be called 'lady'? Traditionally the title 'lady' is used for one of three categories of woman: a peeress in her own right, the wife of a peer and the wife of a knight. The wife of a chief, if not also a peer or knight, should be addressed as 'Madam.'" An article about Laird Lord and Lady titles was published in The Times (UK) on Friday 5 August 2016. It appears that some people have been so taken in by the advertising claiming you can become a Laird, Lord or Lady by owning a souvenir plot of land, that they've been applying for a coat of arms from Lord Lyon. The headline reads "Buying piece of Scotland doesn’t make you a laird or lady". The start of The Times article can be seen HERE, and a full copy of an open access version is archived HERE. The Guardian (UK) also picked up on the story on Monday 8 August 2016 HERE. Can I fly the Royal Arms of Scotland (the “Lion Rampant”)? The following sources provide guidance on when the flag can be flown. When Her Majesty The Queen is present in the Scottish Parliament. The Royal Arms of Scotland (the “Lion Rampant”) is The Queen’s official banner in Scotland and will be hoisted when Her Majesty The Queen enters the Scottish Parliament building and will be lowered when The Queen departs. It is not to be hoisted when The Queen is only passing in procession. The Royal Arms of Scotland shall be flown in the superior position with the Saltire in the second superior position, the Union flag in the third and the European flag in the fourth. This is not a national flag and its use by citizens and corporate bodies is entirely wrong. - and other lieutenants specially appointed. Its use by other, non-authorised persons is an offence under the Scottish Act of Parliament 1672 cap. 47 and 30 & 31 Vict. cap. 17. (see the definitive reference at the Court of the Lord Lyon website http://www.lyon-court.com/lordlyon/242.html - opens in a new tab/window). The Sovereign as "Chief of Chiefs" is entitled to wear four eagle feathers. A Chief of a clan, officially recognised as such by the Lord Lyon King of Arms, is entitled to wear their crest as a badge with three eagle's feathers in silver behind a plain circlet inscribed with their motto. 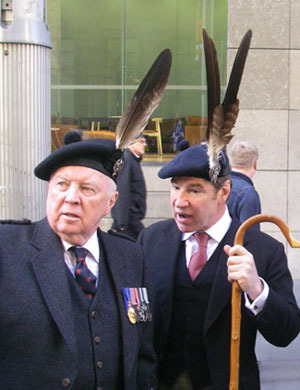 Chieftains of clans, being heads of large branches of a Clan, officially recognised as such by the Lord Lyon King of Arms, are entitled to wear either their own personal crest within a plain circlet inscribed with their motto, as for a Chief, but with two small eagle’s feathers instead of the Chief’s three. A Gentleman or Gentlewoman of the Clan, that is, an Armiger (a person who has their own coat of arms granted by Lord Lyon), is entitled to wear one eagle's feather behind a plain circlet inscribed with their motto. An alternative to wearing real eagle's feathers is to have the appropriate number of feathers incorporated into the molded pewter or silver badge. Real feathers are not worn when the feathers are incorporated into the badge. Clan folk wear their Chief's crest encircled with a strap and buckle bearing the Chief's motto. A Chieftain or an Armiger may also choose to wear the strap and buckle crest badge of their Chief instead of their own crest badge, but with no feathers behind it. Athelstaneford holds a special place in Scotland’s history. In 832 AD, near this East Lothian village, a battle was fought and the St Andrew’s Cross (or Saltire) was adopted as Scotland’s national flag. This day in late Autumn 832, has been described as the day Scotland was born - a turning point in history, on that great and glorious day, when the brave and valiant Scots defeated their enemies. 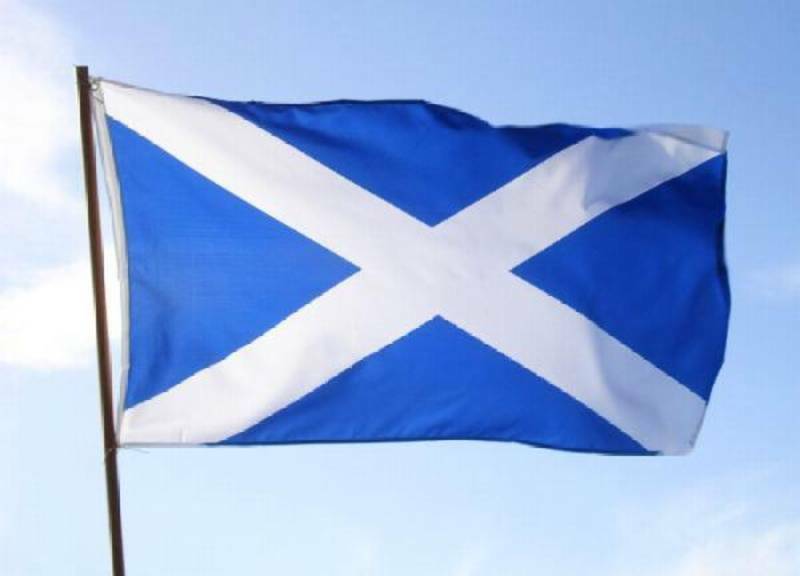 The national flag of Scotland, the white Saltire on a blue background, is the oldest flag in Europe and the British Commonwealth, and it originated in a battle fought in the village of Athelstaneford in the Dark Ages between the Picts and Scots on the one side and the Angles of Northumbria on the other. An army of Picts under the leadership of Angus mac Fergus, High King of Alba, assisted by a detachment of Scots led by Eochaidh, King of Dairiada, had been on a cattle raid into Lothian (Northumbrian territory), and were being pursued by an overwhelming detachment of the Angles and Saxons under their leader Athelstan. King Angus led prayers for deliverance to God and the Saints, and was rewarded y seeing a cloud formation of the Saltire (the diagonal cross on which St Andrew had been martyred) against the blue sky. The King vowed that if, with the Saints’ help, he gained victory, then Andrew would become the patron Saint of Scotland. The Scots did win, Andrew became the patron Saint of Scotland and the Saltire became the national flag in accordance with the King’s vow. In the pursuit, so history tells, the Northumbrian leader, Athelstan, was slain at the crossing of the Peffer or Cogtail Burn, the site of which is marked at Athelstaneford Mains Farm, about half a mile south-east of the village. The Saltire is also known as the Saint Andrew’s Cross. The manner of wearing tartan sashes has had customary significance since the 18th century. The different ways to wear a sash is based upon a careful study of old portraits, prints and traditional practice. The wearing of a sash in any particular manner has no legal significance, hence the sash is worn as respect for tradition and is consistent with custom. There are many sources for the following information that you can search for on the internet. 1. Style worn by Clan Women: The sash is worn over the right shoulder across the breast and is secured by a pin or small brooch on the right shoulder. 2. Style worn by Wives of Clan Chiefs and by Wives of Colonels of Scottish Regiments: The sash, which may be fuller in size, is worn over the left shoulder and secured with a broach on the left shoulder. 3. Style worn by ladies who have married out of their clans, but who still wish to use their original clan tartan. The sash is usually longer than style 1, is worn over the right shoulder, secured there with a pin, and fastened in a large bow on the left hip. 4. Style worn by country dancers or where any lady desires to keep the front of the dress clear of the sash. Perhaps to wear a sash of some chivalric order or any orders and decorations. The style is similar to the belted plaid and is really a small arisaid. It is buttoned on at the back of the waist, or is held by a small belt, and is secured at the right shoulder by a pin or small brooch, so that the ends fall backwards from the right shoulder and swing at the back of the right. Queen Elizabeth II has granted permission for Members of the Scottish Country Dance Society to wear sashes on the left shoulder. This is an honour bestowed upon the Society because she is Patron. On September 9, 1513, one of the greatest disasters befell Scotland. The Battle of Flodden or Flodden Field, or occasionally Battle of Branxton (Brainston Moor), was part of a conflict between the Kingdom of England and the Kingdom of Scotland. The battle was fought in the county of Northumberland in northern England between an invading Scots army under King James IV and an English army commanded by the Earl of Surrey. It was a decisive English victory. In terms of troop numbers, it was the largest battle fought between the two Kingdoms. King James IV of Scotland and the "flowers" of Scottish nobility, along with 10,000 and 17,000 Scots, were killed in the battle. The tune is played at funerals and at the Australian War Memorial's nightly ceremony. What are the jurisdictions of the heraldic authorities? The English Kings of Arms, who are the senior heralds at the College of Arms in London, have jurisdiction over England, Wales, Northern Ireland, and all other countries where Elizabeth II is head of state, except Scotland and Canada. Lord Lyon King of Arms, in Edinburgh, has jurisdiction over Scotland and domiciled Scotsmen and women, and will also in certain circumstances grant arms to foreign nationals. The Chief Herald of Canada grants arms to Canadians. The Chief Herald of Ireland will grant arms to residents of the whole of the island of Ireland, and to others of Irish descent. The English Kings of Arms will make grants of honorary arms to American citizens who can place on record at the College of Arms a pedigree showing their descent from a British subject. Note that the claims to jurisdiction by Lord Lyon King of Arms (other than in Scotland) and the Chief Herald of Ireland in countries where Queen Elizabeth II is Queen are not recognised by the College of Arms in London. Arms of corporations have been accurately published than the arms of individuals. Geoffrey Briggs' Civic and Corporate Heraldry (1971) which covers England, Wales and Northern Ireland is now rather out of date. A.C. Fox-Davies' The Book of Public Arms (1915) covers corporate arms of the British Empire and some foreign arms as well. It is illustrated with many black and white line drawings.